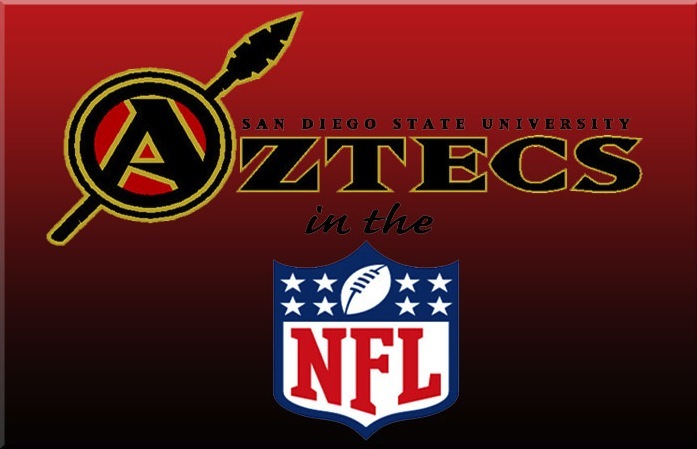 With a handful of NFL teams beginning their offseason workouts this week, many ‘Aztecs For Life’ are back to work and preparing for the 2013 season. Teams with new head coaches began workouts on Monday and Tuesday, while the rest of the teams begin their programs on April 15 or April 22. Last season, 14 ‘Aztecs For Life’ were on NFL active rosters. 11 of those 14 remain with the same team, while three have become free agents. Additionally, four players who were free agents in 2012 were signed to an NFL roster in the offseason. Don’t forget to watch the NFL Draft beginning on April 25 to see which ‘Aztecs For Life’ will have the opportunity to join this list. It’s been one week now, and it still hasn’t hit me. It still hasn’t occurred to me that my football days are done. After Thursday’s game, I walked off the field at Qualcomm Stadium one last time. I took off my helmet, pads and cleats one last time. I sat in the locker room with the 2012 San Diego State football team one last time. It’s a shame it had to end the way it did, but we cannot let that game define our season. Just like one play doesn’t win or lose a game, the Poinsettia Bowl should not characterize the 2012 Aztecs. The 2012 Aztecs are special. We started as a team that lost our four-year starting quarterback and our star running back; a team that lost two dominant defensive players in Miles Burris and Jerome Long; a team that lost not only three starters on the offensive line but also the offensive line coach; and a team that had question marks all across the board. Although unfortunate, these factors did not matter to this team. The 2012 Aztecs are fighters, no matter the situation we found ourselves in. Early in the season, we found ourselves with a record of 2-3, causing “fans” to plummet off the bandwagon faster than a Marshall Faulk 40-yard dash and petition for head coach Rocky Long to be fired. After losing our starting quarterback to injury against Nevada, we found ourselves with our backs against the wall down by 10 points in the fourth quarter. Later in the season, we found ourselves down at halftime against Boise State and Wyoming, two pivotal games on the road. But no matter where we found ourselves, we always fought back. The 2012 Aztecs are not just any other team. The 2012 Aztecs are Mountain West champions. I believed them. I had no idea what college football was all about, and I saw some pretty talented players out there. I thought it could actually happen. What did happen, however, was a 2-10 record, and I was admittedly worried after my first season. I remember thinking I had a long four years ahead of me. Chuck Long was fired soon after. Then came a morning in December of that year. We had a team meeting and met our new head coach, Brady Hoke. He set the tone from the very start and exhibited his no-nonsense mentality by telling a player who walked in slightly late to leave. That’s when I knew San Diego State football had transformed in the blink of an eye. Building a championship-caliber football team doesn’t happen overnight. It takes time. 2009 was a year of growing pains. We were adjusting to Hoke’s system, morphing the identity of our team in the process. Ask any player from the 2009 team about the winter and spring conditioning in the offseason, and you will hear what may sound like horror stories. In 2009 we were introduced to a man named Aaron Wellman, our new strength and conditioning coach. As far as we were concerned, this man was immortal. He became one of the most feared, yet also respected, men in our lives. If he said “Jump,” we said “How high?” Chuck Norris jokes were replaced with Wellman jokes. “Wellmanized” was added to our dictionary. Skipping class was nearly unheard of due to fear of getting caught and facing the wrath of a Wellman punishment workout. Starting in January of 2009, we spent eight straight weeks conditioning and lifting weights before spring ball, and those eight weeks were the most physically and mentally challenging weeks of our young lives. We had never seen anything like it before. We had never trained like that before. We had never pushed our bodies and minds to the point of absolute exhaustion the way Wellman trained us to do. Although the season didn’t turn out as we had hoped, it was an integral part of the process. To the fans, it may have seemed like nothing had changed, like it was the same old San Diego State team that couldn’t make a bowl game. Inside the locker room, however, we knew things were different. We knew better days were coming soon. The “Winter ’09” phase, as players call it, did something that had needed to be done for a long time at San Diego State. It trimmed the fat (over a dozen players voluntarily quit) and dispensed of those who were not mentally prepared for where the program was heading. It got rid of all the nonbelievers, while molding the rest of us into believers in the process. 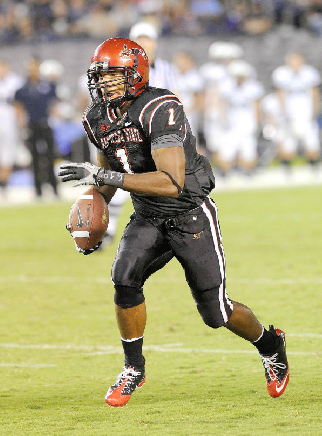 2010 marked the official return to the college football scene for San Diego State. The players had bought in to Hoke’s system. Every time we stepped on the field, we believed that we would win, and although we didn’t win every game, we always had a chance at the end. The Poinsettia Bowl victory in 2010 was monumental, as we dominated Navy in front of nearly 50,000 fans at our home stadium, winning the first bowl game in San Diego State history since 1969. We finished with a record of 9-4, and people were finally starting to take San Diego State seriously once again. Players like Vincent Brown, DeMarco Sampson, Ryan Lindley, Ronnie Hillman, Miles Burris and others became nationally known while leading our football program to new, unfamiliar heights. Although Hoke left following the season, Rocky Long did a phenomenal job of carrying over many of Hoke’s philosophies and traditions while adding his own touch along the way. In 2011, we picked up right where we left off and made it to another bowl game. Although we lost in the New Orleans Bowl, we finished with a solid record of 8-5, and reached back-to-back bowl games for the first time in school history. Then came 2012. This was the next step for our program. A conference championship. Three straight bowl games. A 26-13 record over three seasons, a remarkable feat compared to the 38-80 record amassed from 2000-2009. We may have lost the last two bowl games, but the accomplishments far outweigh the losses. A new era of San Diego State football has arrived, one where bowl games are expected. No longer should fans wonder if the Aztecs will make a bowl game or not, they simply should wonder which bowl game they will play in. San Diego State football is officially back. What’s next for the Aztecs? Big East? Mountain West? At this point, who knows. Right now, only one thing is important: winning. If we continue to win consistently, we will be on the right track to take this program to next level of Top 25 rankings and BCS potential. The talent is there. The resources are there. The work ethic is there. It just needs to continue. And whatever is next for Aztec football, I will support them no matter what. One thing I ask for is the same support from the city of San Diego. The attendance numbers this season were disappointing, especially in the bowl game. We know you are out there because we see you at the Sky Show every year. Why can’t we get a crowd like that every week? If this program is going to continue to grow, we need more fan support. Times were rough in the first decade of the 2000s, I understand, but things have changed. San Diego State is competitive now, and we are steadily climbing our way to football prominence. Hop on the bandwagon while there is still room. To the true supporters out there, thank you for sticking with us through thick and thin. You have remained in those seats at Qualcomm Stadium whether during a 2-10 season or a season that ends with a bowl game, and you have truly embodied what a fan is supposed to be. We appreciate you all. I’ll leave you with one simple phrase. Three words that mean the world to me, and hopefully the same to my fellow students, alumni, and others associated with San Diego State.